When summer is at its peak and the populace is either trying to flee to Alaska or camp by the poolside, you could do better and sing an ode to the season with the most soul soothing peach ice cream. To some, this option may have descended straight from Heaven as a silver lining to the cloud of heated horrors. For others, it is just a way to pamper the scorching gastrointestinal system through the extremes of summer with unflinching guilt-free confidence. Hailing the 17th of July as the national Peach Ice Cream Day only boosts the urges of the otherwise health conscious to let go of all restrictions for a span of 24 hours and paint the town red with peach! However, for the ones who cannot manage to loosen their reign on weight watching even for a moment, there is no reason whatsoever to fret and miss out on the wonders of 17th July when the rest of the nation happens to be at their ice cream best. A few inclusions here and a couple of exclusions there can prepare you well enough to experience a calorie-countered cup of sheer exquisiteness. Here are a few tips to add fervor to your Peach Ice Cream Day without even as much as a spot of fear as far as weight and sugar levels are concerned. 1) Don’t buy the ice cream… Make it – As you enter the 17th of July, use the first half of the day preparing peach ice cream at home than buy it from the store. This would not only save a good few bucks in your pocket, it will also ensure cutting down on the eating part right from day break. A serving of peach ice cream could amount to adding 300 calories to your system. 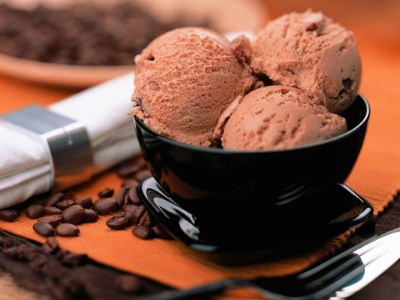 If you begin eating scoop after scoop from the earliest hour, you are sure to hit 2000 calories by mid day. However, if you spend your hours till midday making your ice cream, your consumption will decrease by half till the end of the day! 2) Choose healthier options of ingredients – When you make your peach ice cream at home, you are free to choose your ingredients your way. For example, you could use diet sugar, non fat milk and other ingredients which will only counter calories and be acceptable to those afflicted with sugar problems. 3) Choose your toppings wisely – There is no better way to top your Peach ice cream with fresh peaches. You could also use a dash of nuts and seeds while warding off the more popular sugary syrupy toppings. 4) Work it out at the end of the day – Gorge, Gorge and Gorge on these healthier options of Peach Ice Cream through the day and ensure working it out in the evening or the next couple of days. It will only take an hour of intensive workout at your chosen time to shed the excesses. ← Rejoice July 16th Corn Fritter’s Day – GUILT-FREE!